Keikari’s The Dandy Shoe Model with TLSC | Keikari.com Keikari’s The Dandy Shoe Model with TLSC | On classic men's style, elegance and the beautiful life. Back in December 2012, Keikari’s forum members voted on the details of a collaborative shoe model made by The Left Shoe Company. 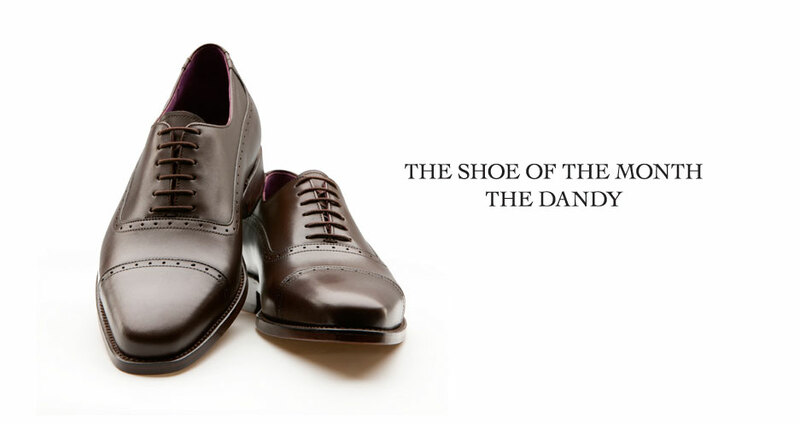 The finished piece was named as The Dandy and manufactured as a cap toe balmoral with a round toe, mid-brown calf uppers, sparse brogue decorations, six eyelets, leather soles and dark purple lining in Keikari’s signature colour. The model was offered as a limited run in TLSC’s shoe of the month series. A photo for posterity is all that remains of the first of its kind, a forum-born shoe, in Finland.